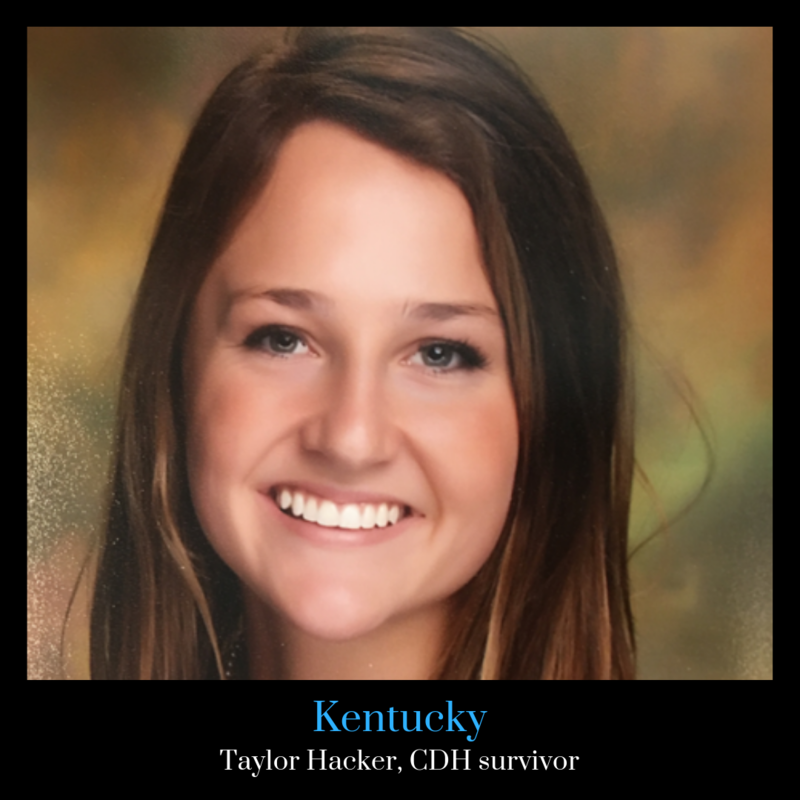 We want to introduce you CDH International’s Kentucky Ambassador, Taylor Hacker. Taylor is a CDH survivor. Taylor attends the University of Kentucky and is studying Communications and Criminology. She is currently an intern with the Department of Justice and aspires to become the first FBI agent who is also a CDH survivor. Months before she was born, she was given a 0% chance to live and her parents were urged to consider abortion due to the severity of her condition. In December of 1996, she was born with right-sided CDH, placed on ECMO and underwent a total of two major reconstructive surgeries to repair the hernia. Her health has increasingly gotten better as she grew older, so much so that she was able to play varsity sports in high school and she has absolutely no limitations today. In her spare time, Taylor enjoys playing guitar, traveling, being outdoors, and spending time with her friends and family.